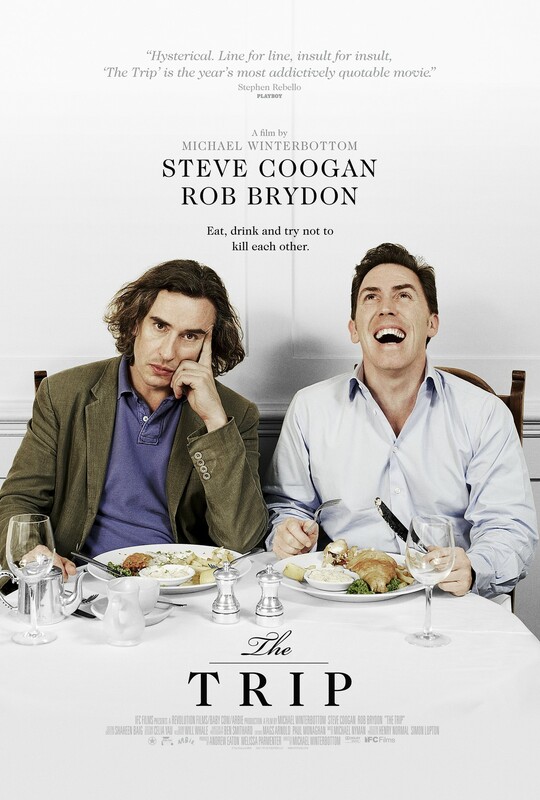 Compiled as a feature film from the TV series of the same title, The Trip took us on a journey of two comedian friends, Steve Coogan and Rob Brydon, in search for the finer things found in food and all the comic drama between the two. In an attempt to impress his girlfriend, Steve decided to ask her on a trip around countryside Northern England to try out the region’s best restaurants. Sounds like a fantastic try and a good opportunity since the trip was also fully commissioned by the big newspaper, The Observer. Despite of that, Steve’s girlfriend is still on her decision to split up for awhile and that somehow forced him to instead ask Rob, a comedian colleague of him, for the trip. It’s a trip that Rob took almost immediately although he has to leave his young family for a whole week trip that made him miss them so much. Everything we see from Rob is in contrast with Steve, who were miserable both professionally and personally. The trip centers between the banters, conversation, and their adept impressions of famous movie stars between those two; but do not expect it to be philosophical and provocative discussions like what you see in Richard Linklater’s trilogy. The talks between these two are almost nonsensical, casual, and comic. You can’t ask more because it’s already simply hilarious! Another cool part of the film is the food itself. The two comedians got their best from acclaimed restaurants of Northern England such as Yorke Arms, Holbeck Ghyll, L’Enclume, and the inns of Whitewell, Hipping Hall, and Hetton for the week journey. So, there are scenes from the kitchen, of them eating, and at the same time we were also entertained so much by their competitive impressions and banters. Other than these, the film also focused on their daily problems, family matters, and of their personality as well. Sometimes they’re arguing about Steve’s wanting to be in control all the time or Rob’s failure in impressions – at least from Steve’s point-of-view. In all, The Trip is a fun trip around the cold yet beautiful countryside of England, of great food, and an interaction between the stars which is highly unlikely found in other movies. To top that, it has great moments of laugh and drama as well.